Have you ever wanted to take a craft class but just haven't been able to find the time? Choose from hundreds of online craft classes so you can learn and create beautiful things from the comfort of your own home! Offered by Creativebug. Have fun creating! 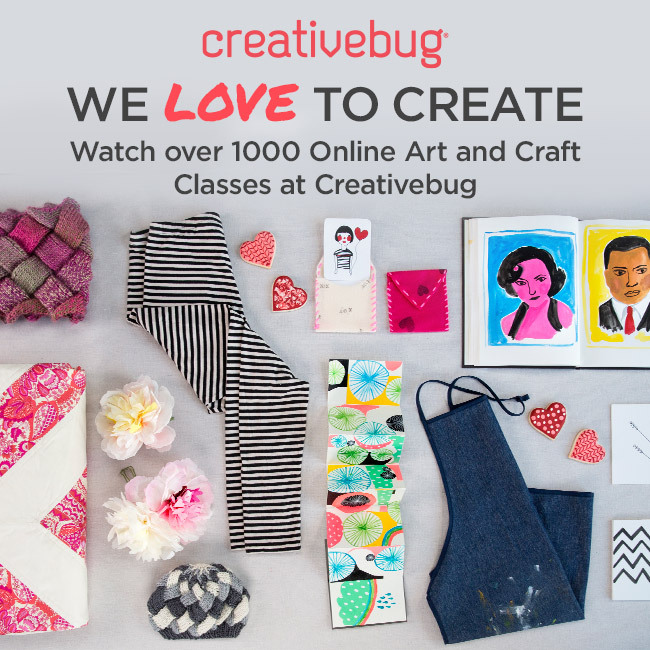 Over 700 Online Art & Craft Classes Just $4.95 a month! Flex your creative muscles with Creative Doodling: a four-part series that teaches and inspires day dreamers and artists alike. Knit the Imposter's Shawl with Fancy Tiger on Creativebug!